Ting scored free tickets for the GCMA so off we go to the Singapore Indoor Stadium. Thanks girl! Now I have an excuse to get out of my slump and start acting my age. Haven't stepped in there since 10 years ago for Jolin Tsai's concert. It was a free concert too. Yes, for the record I only attend free concerts because I prefer to spend my money on other frivolous things. The turnout for the night was a little disappointing because S.H.E and Mayday weren't there. Instead the usual attendees such as Twins and various local talents graced the event. 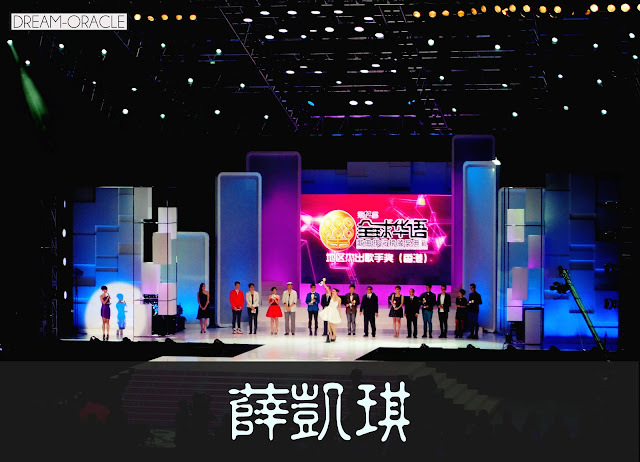 I really think GCMA 2012 is quite a flop, the awards get more and more ridiculous with every year, and more and more artistes are opting to take a rain check on this event. When I sat there watching it live, I can finally understand why. 1. Light technicians must have bungled up the lighting effects. How is it possible to shine 4x stage lights framed around the stage into the audience's eyes throughout the entire 3 hours?! HOW? I was nearly BLINDED. I should have brought sunglasses because that is what the roving lights were doing. It shone directly into our eyes and we couldn't see a single thing. 2. The giant screens were shrouded in darkness. I believe the giant screens functioned as a magnifying glass for the audience sitting at the back. Yet the screens were perpetually hidden in some obscure corner with no proper lighting to light it up. Instead, the harsh stage lights were strategically placed in front of the screen and it was so glaring, you can't see the damn screen. 3. The cameraman filming closeups for the big screen. As I 've mentioned above, the screen functions as a magnifying glass for the audience seated at the back. But the cameraman didn't prepare the zoomed-in view for the screen. Instead of projecting a close up of the stage, most of the time they gave us the exact view we're seeing from the back. See what, you tell me! But oh well, gripes aside, I do have a couple of shots from the event and some videos. It's very far hahaha but hey the colours turned out marvelous so I'm still chucking them here. I have no idea what they're singing. This is why I dislike award shows, the good and the bad all get together and you just got to endure the bad before the good comes along. I only like Aisha, she's quite adorable. Or you can say I'm biased cuz she's a Japanese and I'm amazed at her proficiency in Chinese. Someone gimme money and throw me in Japan for 3 months, I swear with nobody to speak English and Chinese with me, my Japanese will improve by leaps and bounds. Fiona Sit is so cute. I like her in Hong Kong dramas but I didn't know she sang too. I like her song, not bad. This girl here has the potential. Whoohoo she's awesome! I remember we used to play her songs softly in the office while doing our marking. She is the reason why I didn't fall asleep due to the repetitive motions. Her voice is very clean and clear, it's not very outstanding vocals but I think she can sing. That matters more than sounding different but can't sing for nuts (read: Qu Wan Ting). All my videos are..well..you can hardly see the artiste but you can certainly hear them! So maybe you should consider pushing the play button then minimize the window to do other things lolol.. 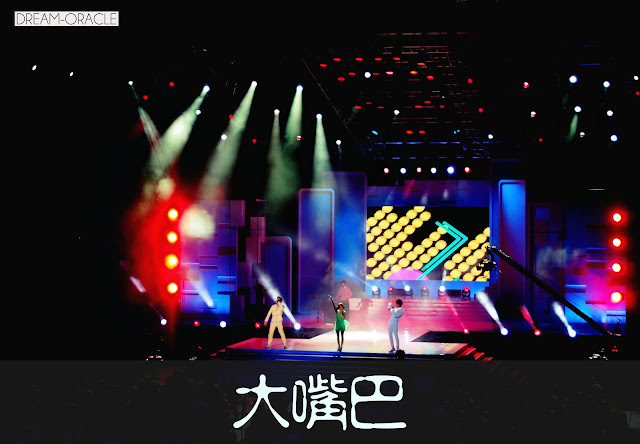 This is some obscure singer from Guang Zhou and boy, can he sing! Cantonese songs but it's pretty good. This one, got potential too. 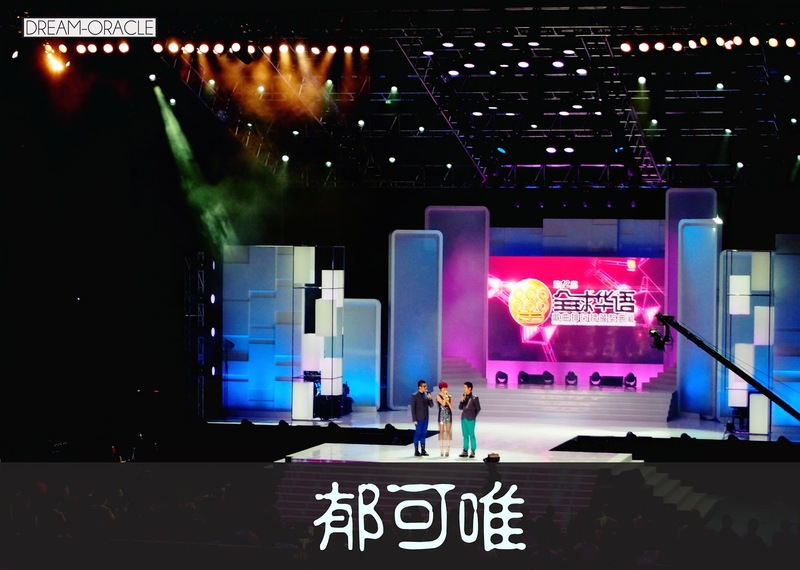 There were other really good singers such as Olivia who looked really regal and charismatic, Della Ding Dang, Kit Chan, JJ Lin and Eason Chen. 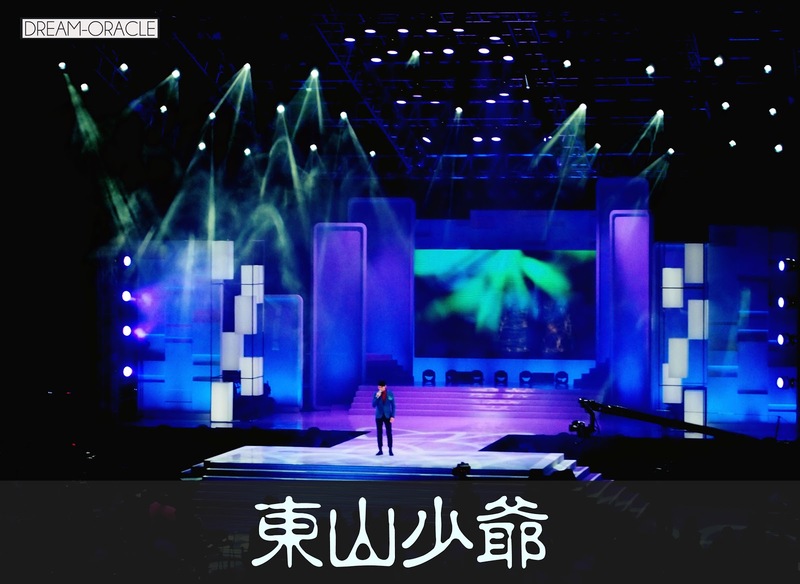 This video is of Eason Chen, great song great stage presence. This is by local talent Olivia Ong, I love her voice. So clean and soothing. The last video is of one of my fave local talents, JJ Lin! He sang a medley and this video is a bit noisy, cuz of the live band. Same la, all the graphics not fabulous so just enjoy the music. These videos took me a bloody long time to upload, so you better go listen hor! Okay no I'm kidding about the threats lol, but it really took alot of effort to upload.